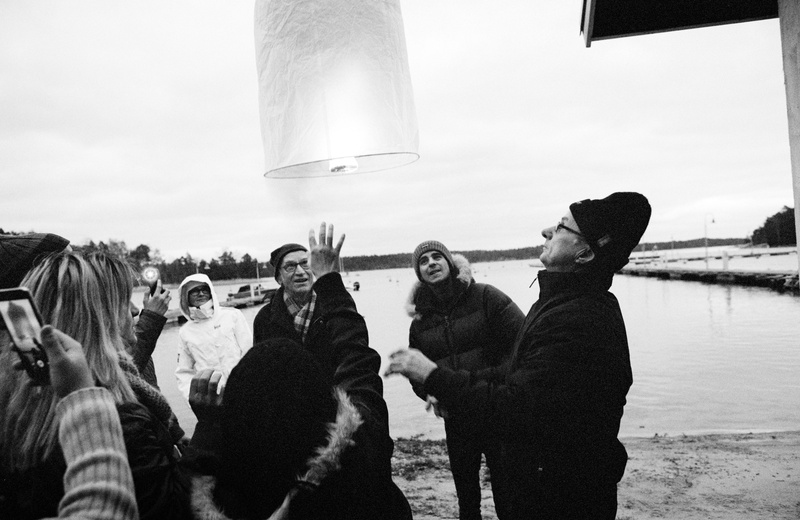 “It´s better to light a candle than to curse darkness” – the warm welcome for refugees in Nagu, Finland. At that time, as I stood amongst the chaos and horror of the beaches of Lesvos, I could scarcely have imagined that three months later, telling the same story, I would find myself caught in the middle of a snowball fight on the remote island on Nagu on the Southern West tip of Finland. Yet even here, on the edge of Europe, this small island community, as in Lesvos, has been deeply affected by the refugee crisis. And as in Lesvos, it is the local community and volunteers who have stepped up alongside NGO’s to make a difference. The ‘guests’ of Nagu on New Years Day at the Strandbo Hotel. In October, nearly one hundred asylum seekers, mainly from Iraq and Afghanistan arrived at the hotel. It’s New Year’s Eve and I’m at a cocktail party hosted by the Rotary club of Nagu. For everybody, the main topic of conversation is the ‘guests’. 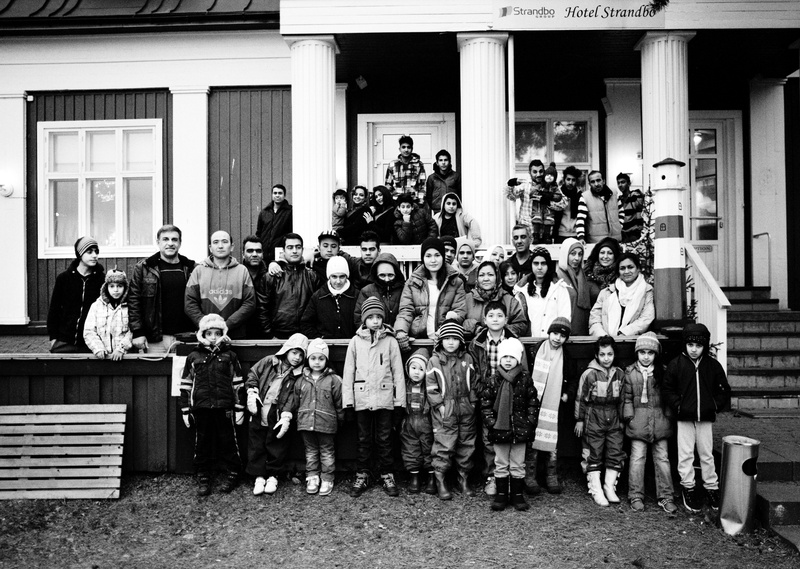 In October the town had been informed by the Finnish Red Cross that the local hotel, The Strandbo, closed for the off-season, would BECOME a temporary home for 100 refugees. It was a decision not welcomed by all, and most had their doubts. In Nagu they are a small, close-knit community and during the winter there are few visitors, at most 1500 people live here during those cold months. At the rotary Club, people were frank; they had worried about bored young men, of attacks on women and how would these Muslims integrate with their customs? It was a situation nobody had expected and few wanted; and not just for the locals. For the refugees, mostly from Iraq and Afghanistan, they had never expected to find themselves isolated on an island during the winter, when temperatures can drop below -10C and the sun rises for just a few hours. But it is at this point that the people of Nagu made a decision. “When I was young,” Anders Fagerlund told me, “ I would go to Nagu with my father. As we walked through the town, he would smile, wave and say hello to everybody we passed. Likewise when we drove home, as we passed each car, he would wave. Social gatherings, a friendship café, baking classes, piano lessons, animation and drawing for the children, cultural exchanges, music events, football for both the boys and the girls, ice skating and daily walks through the tranquil woods and along the shores of the island. 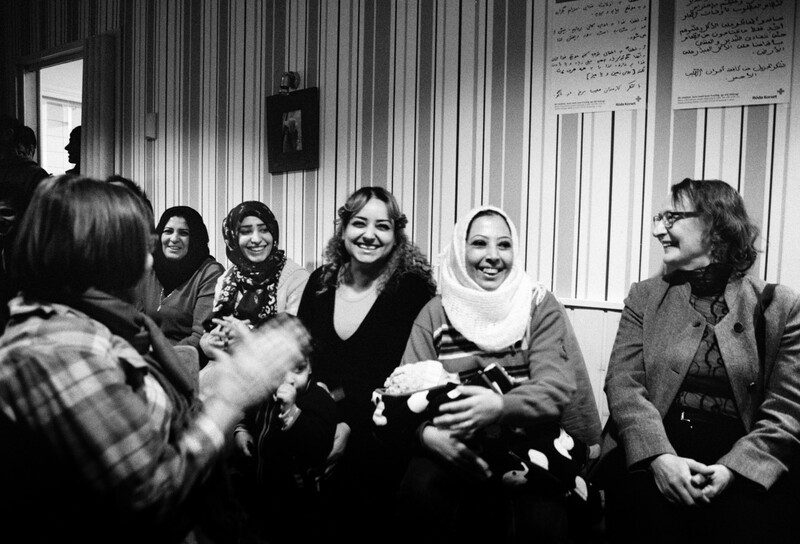 With the facilitation of the Finnish Red Cross, the refugees have hardly had an idle moment. Of course for the refugees being busy does not erase their past or the uncertainty of their future. As one of the ‘guests’ said, “the people here have been amazing, but the can’t take away our nightmares.” These are families that have escaped unimaginable brutality and conflict, as well as the traumatic journey across Europe. Even now many find it hard to sleep, aware that until their asylum applications have been processed, they have not reached the end of their journey. However the warm welcome of the Nagu people has made a difference. And despite their initial reservations, the people of Nagu now feel it is the refugees that have bought them something. The parish has taken a central role and the chaplain´s family has been instrumental in many of the activities. Mirjam Granstrom is the daughter of the chaplain and regularly visits the refugees in their hotel, “I would say that this experience really has helped me and many other people to understand a lot of things. 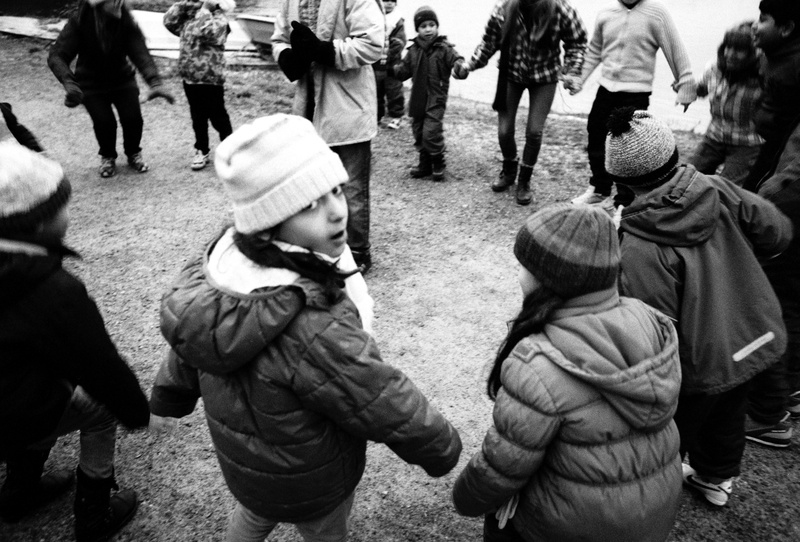 The refugees in Nagu are warm and emotional people who have lost their home country, in some cases family and friends, but they still try their best to make the best of their situation. In fact the community now speaks of their concerns about what will happen when the refugees leave. In a few months they will be moved to the larger town of Pargas. Over New Year’s their future accommodation was firebombed. There was little damage, but it was an indication that many in Finland do not welcome refugees in the same way as the people of Nagu. The attack has left the refugees upset and nervous, but has rallied the locals to continue their support, even after the refugees have moved. But it’s not just the welfare of the ‘guests’ that worries the people of Nagu, when they are moved they will leave a gap in the community. Many in Nagu now hope that once their asylum applications have been processed the refugees will choose to return to Nagu as permanent members of the community. The refugee crisis has no easy answers; the mass migration Europe witnessed in 2015 is set to continue, whilst countries still struggle to cope with those that have already arrived. Volunteers from Nagu and refugees laugh together during a New Year’s Eve concert put on by local musicians. Hardly a day goes by without an activity that brings the locals and the guests’ together. After the concert, the Afghan families asked if they could sing a traditional song, the sadness in their voices left the room in tears. 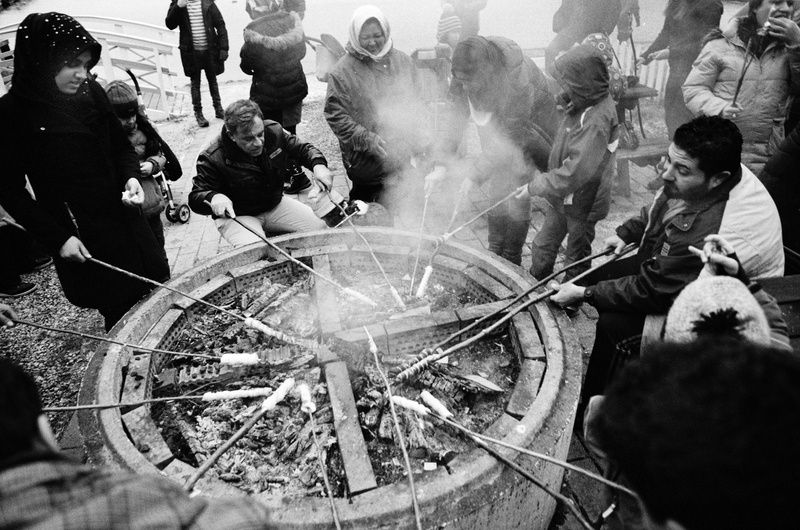 Residents of Nagu teach their ‘guests’ how to make breadsticks on an open fire. Arezin, wraps up Arslan against the freezing temperatures. Brothers Mahdi and Amir-Abbas from Afghanistan at lunch with their Iraqi friend Mahood. 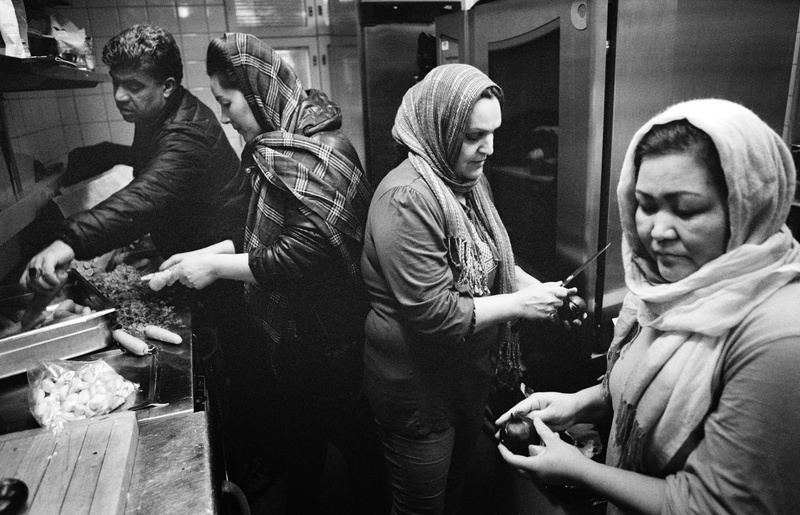 On New Year’s Eve the residents from Afghanistan cook a traditional meal for everybody staying at “Strandbo”. 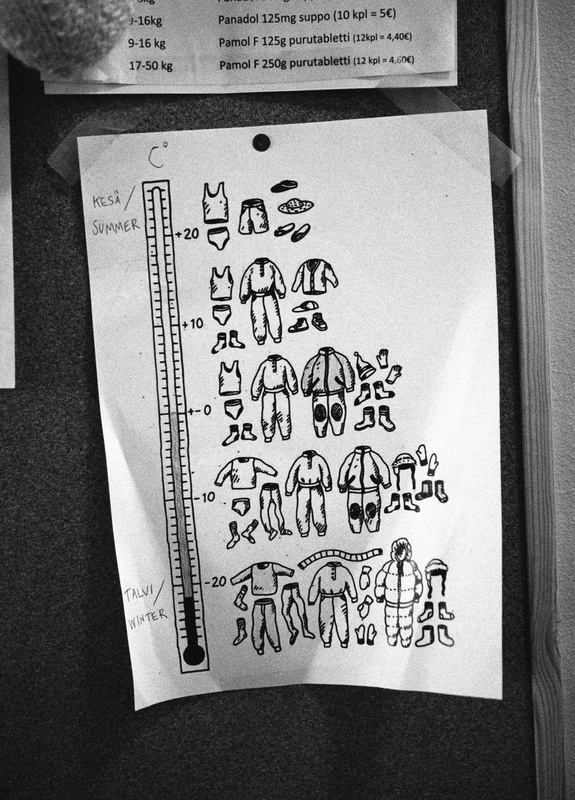 Advice on appropriate clothes to wear as the temperatures drop! 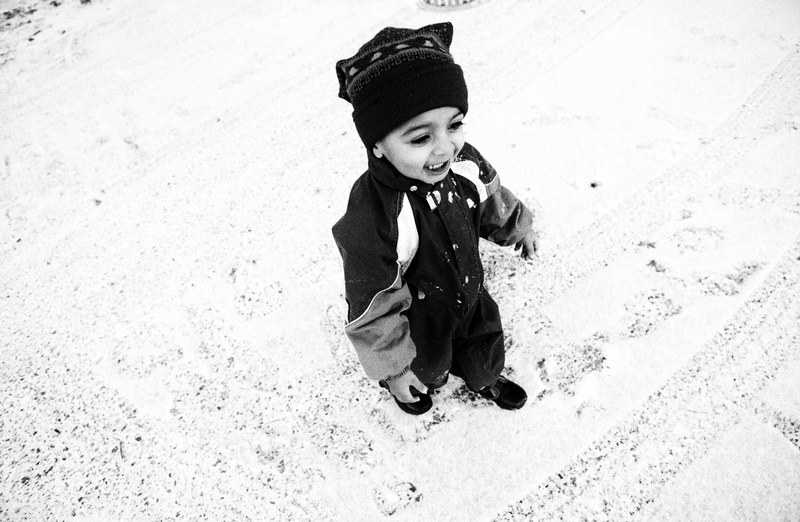 Yazen, who’s from Iraq sees snow for the first time. 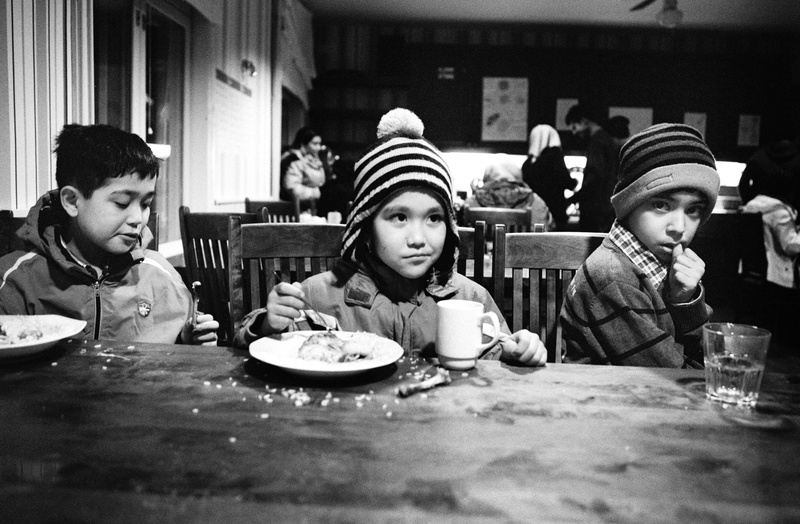 For most families, this is the first time they have experienced anything like the cold of Finland. Children dance together on the beach.